It’s a misty morning in Beijing’s Zhongshan Park. Elderly parents are beginning to gather in the verdant green space, sitting on wooden benches and delicately laying out laminated papers in front of them. These papers read like baseball cards, they feature a flattering image of a single son or daughter, followed by what is considered essential stats: age, education, career, and income. This is China’s Marriage Market, an impromptu gathering of parents hoping to find their adult child a spouse. The documentary short—created by forward-thinking skincare brand SKI-II—directly addresses the label of “Sheng nu” used to brand single Chinese women as being leftover in society. 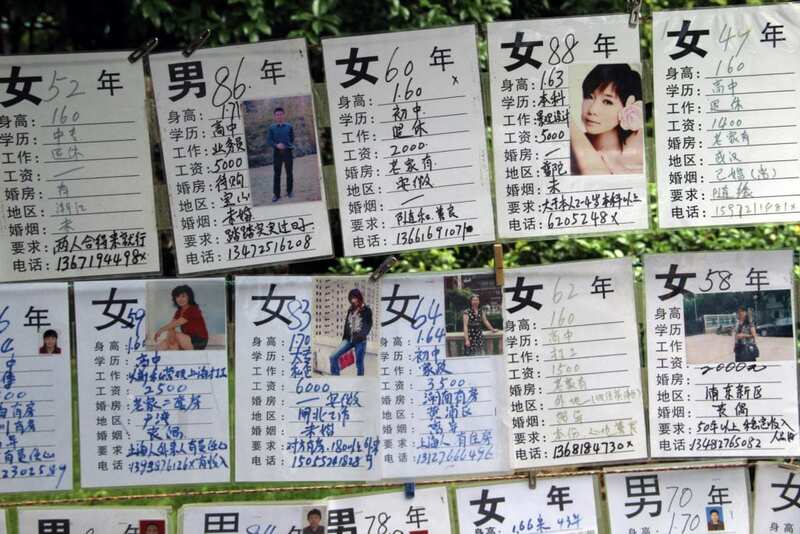 Marriage Market Takeover aims to empower single Chinese women and spark a larger conversation about the pressures they face to marry, some of which may even resort to renting a ‘fake boyfriend’ to assuage their parent’s fears. The derogatory label of “Sheng nu” was coined by the All-China Women’s Federation to describe unmarried women of a certain age. The label was even added to China’s official lexicon by the Ministry of Education back in 2007. 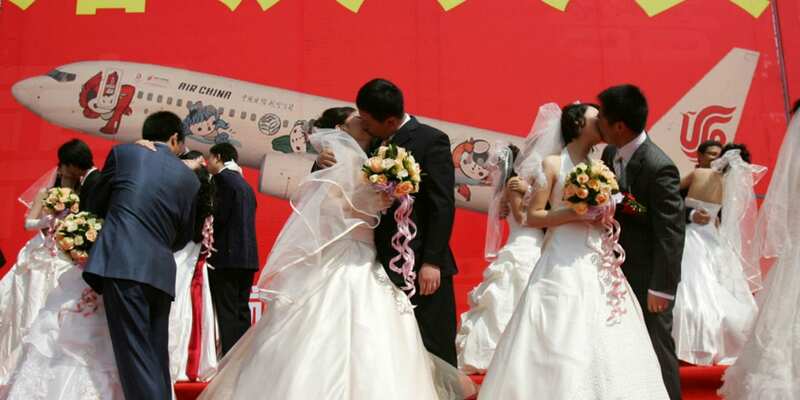 “Sheng nu” literally translates to “leftover woman” and has since become popularized by media propaganda and government initiatives aimed at pushing women to get married. The Women’s Federation will even run articles chastising single Chinese women on their relationship status. The irony of labeling women as “Sheng nu,” is that it is men that tend to be leftover in Chinese society. According to the National State Population and Family Planning Commission, it is projected that by 2020 single men will outnumber single women by at least 30 million. China’s modern gender gap has its roots in the One Child Policy, which was first introduced in 1979 and phased out in 2015. The One Child Policy was implemented to curb the expanding Chinese population by imposing fines on families for having more than one child. The policy—combined with the cultural emphasis on having sons—led to a significant increase in male versus female children throughout China. Despite the fact that it is men who are numerically left over, it is working Chinese women who carry the label. “The government is focused on marrying off urban, educated women but it does not want rural, uneducated women to have more babies,” Leta Hong Fincher told Vogue in an interview. The pressure of being labeled “Sheng nu” weighs heavy on many Chinese women whose success is undermined by their relationship status. Activists are pushing to reclaim and redefine the term “Sheng nu” to be a positive identifier for the modern, single woman in China.